offers online learning so you can start your career. National Career Skills Institute (NCSI) provides high-quality education for varying levels of academic abilities. National Career Skills Institute is committed to providing skills and technical knowledge needed for initial employment in entry-level or higher positions within a business or industrial environment. Maximize the potential to obtain a good job, stable life, and respect. The National Career Skills Institute on a continual basis researches the employment opportunities and establishes linkages with the local employment community to provide the most current training needs. National Career Skills Institute Headquarters is located minutes away from beautiful Lake Tahoe and is surrounded with recreational opportunities. NCSI administration complex is located at 1325 Airmotive Way Suite 115 in Reno, Nevada. It is near bus routes for easy travel. Lunch areas are available in doors and on the outdoor patio. A multitude of equipment is available for student use, included are computers, printers, audio-visual equipment, projectors and other equipment designed to meet the educational needs of our students. NCSI is licensed to operate in Nevada by the Commission on Postsecondary Education (CPE) and is authorized to offer non-degree programs pursuant to NRS 394 and NAC 394. An approval to operate means that the Commission has determined and certified that an institution meets the standards for integrity, financial stability and educational quality including the offering of a bona fide instruction by qualified faculty and appropriate assessment of student’s achievement prior to, during and at the end of the program. Take a look at our Industrial Mechanical Maintenance Program. The curriculum's skill set has already been verified by local manufacturers, and industrial mechanical maintenance technician is on of the top ten IN DEMAND jobs listed on the Bureau of Labor website. Vocational training, also known as Vocational Education is all the training needed for a certain job. These programs generally focus on providing students with hands-on instruction in a specific career area, and allow them to forgo the general education courses associated with most post-secondary programs. Did you know that the medical administrative field's growth is above average? 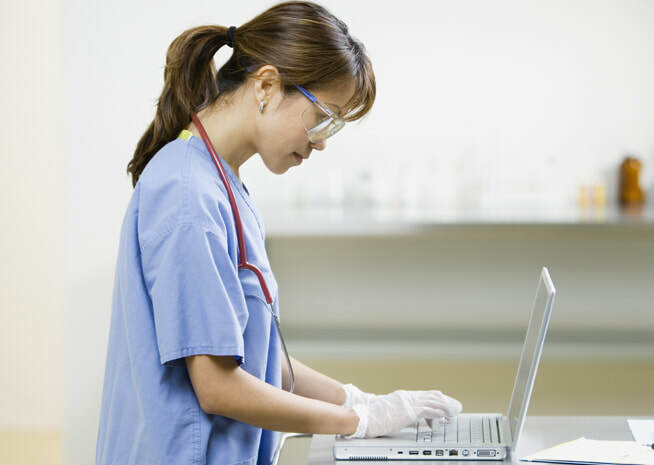 NCSI offers the Healthcare Billing and Coding program, and the Medical Administrative Assistant program. With one of these certifications, you could be well on your way to joining an industry that is experiencing tremendous growth. Your future begins at NCSI.